when conditions were much harder. refit with modern fuel efficient lower emission engines. Although she looks similar colours the boat has been extended by 4 meters, and had a complete rebuild. Malakoff - Shot blast, hot zinc treatment. Hundreds of hours have gone into this rebuild project, hopefully she can do well for a good few years yet. July 2013 has seen an intense bloom of summer time algae. Whilst algae naturally contain important food for the marine eco-systems - and is mostly welcomed by mussel farmers - this particular algae is called Dinophysis and is not so welcome. As mussels and other bivalve shellfish feed, their stomach sacks become full of this rich plankton. When these levels reach a certain limit in shellfish, it can, when consumed, result in sickness and diarrhoea. As the largest rope-grown mussel farm in the UK, it goes without saying that we want to make sure that customers continue to enjoy eating shellfish without any risk to health. The FSAS (Food Standards Agency Scotland) have a special sampling procedure (which is probably amongst the best in the world) to make sure that areas are sampled frequently, and if any risks are detected, that the area is closed down until the mussels naturally purge themselves. You can keep track of what is happening throughout Scotland by clicking on the following link; www.food.gov.uk/enforcement/monitoring/shellfish/algaltoxin/. We receive frequent updates, as they are reported, and we use that information to select sites for harvest. When we saw the limits of plankton rising, and several sites being closed down recently, we decided, as a precaution, that we should stop harvesting for a few weeks until the mussels naturally recover to their normal excellent condition. Naturally, we never want to let our customers down, and this is the first time we have completely stopped harvesting in recent years. The feedback we have received from our customers is that they are very supportive of that decision, which gives them confidence and assurance in our processes. Work on a mussel farm certainly doesn’t stop because we are not harvesting, we use the time to carry out maintenance and improvements to our boats, factory and staff facilities. Meantime, the mussels are feeding away quite happily and will recover naturally themselves within a few weeks, when we will be able to re-commence harvesting as the mussels approach their best condition of the year. Blueshell Mussels is to purchase the Mid-Yell crab processing company, SNPC Ltd, and will relocate the business to the former vacant Ronas fish factory at Heylor in Northmavine at the end of May. The new business will be a wholly owned subsidiary of Blueshell Mussels Ltd and operate under the name ‘Shetland Crab Ltd’. 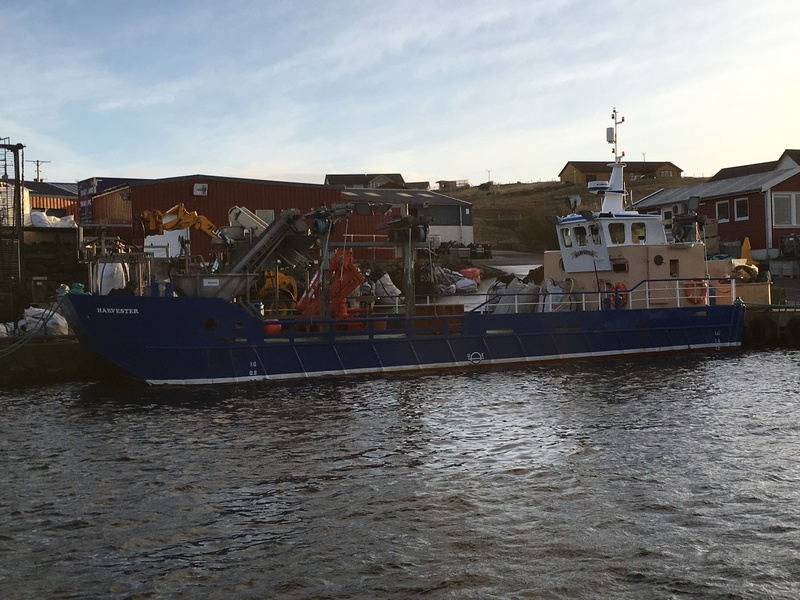 Managing director of Blueshell Mussels, Michael Laurenson, said: “We are delighted to have found a way to protect this long-established business and safeguard the crab-processing sector in Shetland. “We will be creating a number of efficiencies to develop the business – the most significant of which is moving to smaller yet more efficient premises at Heylor. The premises are currently being refurbished to a very high standard to allow high-care crab processing to meet the stringent quality standards expected by our customers. “It was vital to us that SNPC’s very experienced and highly skilled crab processing staff moved to the new facility, so we are delighted that the majority of the current workforce will re-locate to the new premises. Anders Offerdal of SNPC said: “A generation has past, and with the majority of the business owners (including the late Henry’s son, Päl) now over retirement age, it is important that the values and relationships which have been built up over the past 44 years continue and that the business has a secure future, in order to safeguard the workforce, the fishermen and the long term markets that the business has established (particularly the sought-after John West canning contract). 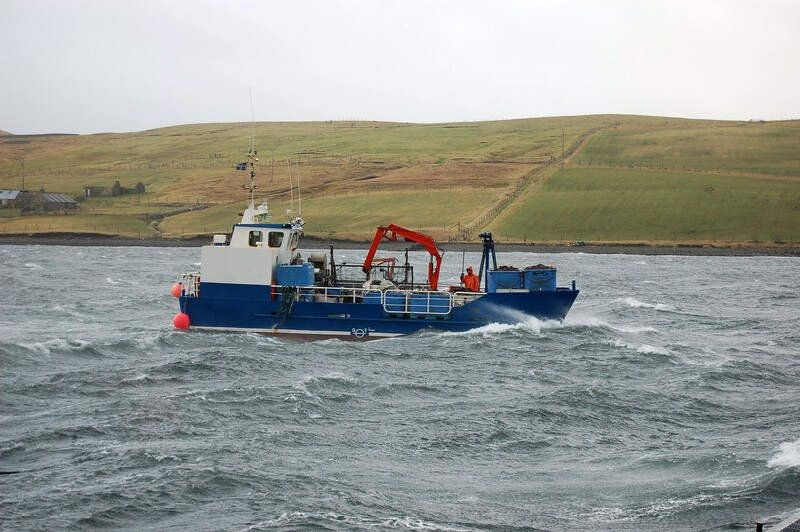 Michael Laurenson concluded: “We look forward to building on the legacy and foresight of Henry Krantz and the SNPC crab processing business, where product is value added in Shetland, and this allows the maximum returns possible to remain within the wider local economy. “Indeed it is quite unique that, with so much Norwegian interest in the assets in our islands that a business can change to local ownership. These are exciting times for the industry, especially with the MSC platform on which to build and market the ‘Shetland’ provenance and the sustainability of our fishery. Blueshell Mussels and Frankie’s Fish and Chip Shop in Brae have come together to host a special Mussel Weekend to coincide with the Shetland Folk Festival this weekend (3 to 5 May). The event aims to encourage local people and visitors to sample a sustainable and highly nutritious shellfish – that is very easy to cook and readily available - and, at the same time, raise funds for a charity that is particularly important to the seafood industry – the Royal National Mission to Deep Sea Fishermen (RNMDSF). Top seafood chefs from Glasgow, Janne and Kristian Johannson who head up Glasgow and Edinburgh’s popular Mussel Inn restaurants will join John Gold and his award-winning team at Frankie’s Fish and Chips to cook up a selection of favourite mussel recipes over the weekend. The Mussel Inn prides itself in using top quality seafood sourced from Scottish waters, which, of course, includes the MSC-accredited Blueshell Mussels, supplied via the Scottish Shellfish Marketing Group. Managing director of Blueshell Mussels, Michael Laurenson, said: “This weekend is about three businesses with strong provenance values coming together to encourage people to try a sustainable, versatile and quality product that is literally on their doorstep and, at the same time, raise money for RNMDSF. “It is also important for us that people know more about an industry that truly understands the importance of environmental standards, which we have always maintained, and provide assurance to our customers that we are delivering, not only a high quality product, but also a sustainable one. All of which has been underpinned by achieving Marine Stewardship Council accreditation. “We are delighted to be supporting the event by donating the mussels and hosting Janne and Kristian’s visit.